While the title might be a misnomer (spoiler alert: the actual Batman vs. Robin is somewhat small), the film itself is packed with enough fun and intrigue to please any fan. 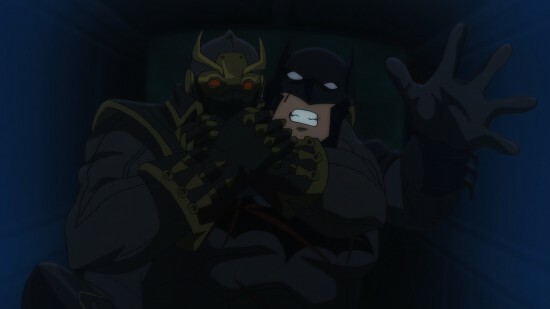 The fight scenes are once again a highlight and may even surpass Son of Batman for their ingenuity and entertainment value. Director Jay Oliva cited the inevitable fight between Batman and Talon as his favorite and it’s certainly a strong contender though the Batman and Nightwing team-up is also pretty fantastic. Talon’s mix of strength, brutality, and a distinct lack of morality makes him a very worthy adversary and an interesting one. Character designer Phil Bourassa described him as “Batman with no rules” and in fact this is one of Talon’s most effective selling points to Damian who has been chafing under Batman’s rules and supervision. Part of the boy’s interest in Talon’s offer stems from not knowing who he is outside of his titles as Bruce Wayne’s son and Ra’s al Ghul’s grandson. Damian’s struggle to create an identity outside of Batman’s shadow is a path Nightwing already walked down. In his return again here though we get a glimpse at the kind of future relationship Damian could have with Bruce. The two former partners still grouse at one another but there’s a respect and trust, so much so that Batman calls Nightwing for help when he needs it whether out in the field or for babysitting. Indeed one of the best sequences in the film is the verbal and physical sparing between the former and current Robin (watch below). That Nightwing continues to be one of the most criminally underutilized and universally loved characters is evident by the deafening cheer that went up when he appeared on screen. However, where Batman vs. Robin really shines is in storytelling. As the best Batman stories always do, the hero’s inner conflict between vengeance and justice becomes a focal point. O’Mara says this Batman “feels the flaws of being a human” but also wants to try to use those flaws and the darkness in his past to lead Damian toward a brighter future. A terrific hallucination sequence, which O’Mara cited as one of his favorite scenes, truly highlights this battle within The Dark Knight. O’Mara smoothly drives this conflict home for viewers, reminding us that for all his heroics, Batman is also Bruce Wayne, a man and father subject to the same fears as anyone else. Then again, when your worries also include the potential of your city being destroyed and your son being turned into a villain, the stakes might be a little higher. Writer J.M. DeMatteis says he is open to a part three of the Bruce and Damian Wayne saga and the film certainly leaves this as a possibility. 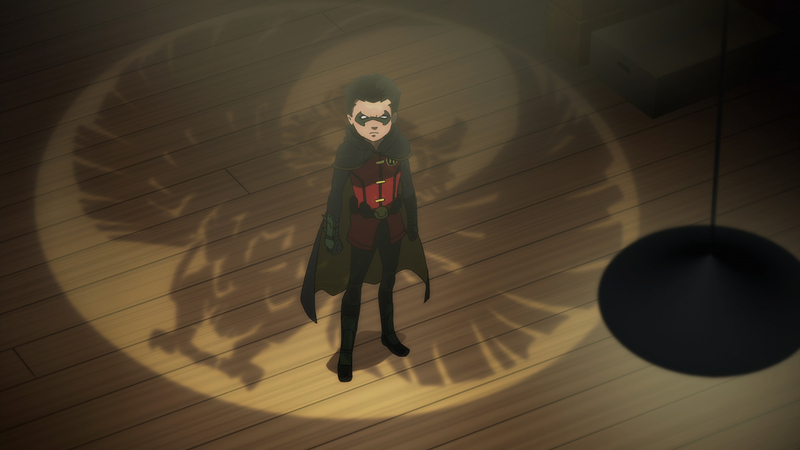 Thankfully, Batman vs. Robin avoids feeling like the set up for something bigger, instead continuing to prove that DC’s animated movies are stellar examples of self-contained stories that still manage to bleed into one another. Fans should be hoping the teams behind Warner Bros.’ live action DC films are taking notes. Batman vs. Robin is due out on DVD and Blu-ray on April 14th.